Getting help from a so-called “free” property advisor sounds like a good idea. However, these deals are often overprices and you need to do your own research to ensure you aren’t buying a property for more than it’s worth. Here are 7 things you should do before buying from a property advisor to make sure you’re buying a good investment and aren’t getting sold a dud. Before buying an investment property from a property adviser, a property mentor or a property marketer, it’s extremely important that you go ahead and do your research. In this video, I’m going to share with you 7 things that you should do before buying property from a property adviser. 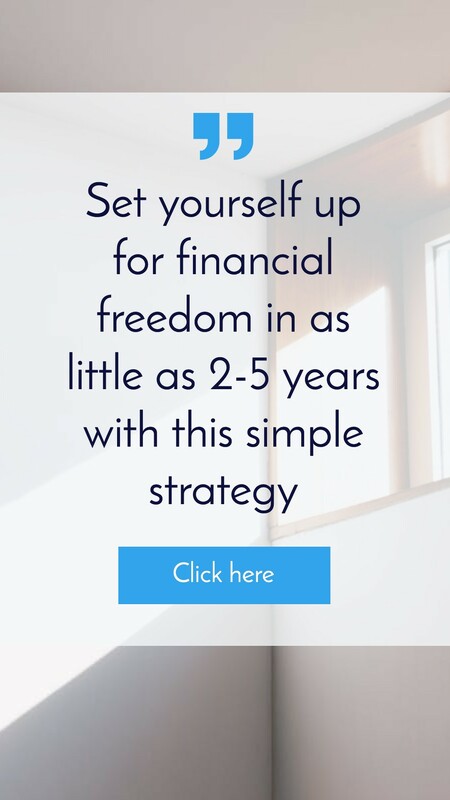 This is especially important if property adviser is offering you their services for “free”. I’ll explain in more detail how they can go about offering those free services. But it is very important that you do your research because a lot of these properties are overpriced and you can get stuck with a property that is overpriced and that won’t rent for what you were promised. Before I get into the specific research techniques, I first want to explain how these free services actually work. What happens is, there’s a lot of developers out there who have house and land packages or units or what they call “property stock” – they call it “stock” in the industry – that they need to sell and they need to get rid of. And often it’s very difficult for them to sell this stock and so they need some help doing it. Generally, a normal real estate agent has trouble selling this so they enlist the help of property advisers, property marketers, property mentors to do this. And generally, property advisers are getting a large commission on the sale of that property. Like a real estate agent gets a commission but this commission tends to be a lot higher than a real estate agent. Where a real estate might be 1-2%, a property marketer’s commission might be anywhere from 6-10%. It is very discretionary and it does depend. The lowest commission that it’s ever going to be is about $5,000 but that’s very rare. Generally, we see commissions around the $20,000 to $40,000 or higher range. So there are very large commissions going into this deal. And so even though they offer, they say their services are for “free”, what is happening is they are getting paid by the developers. So they’re incentivised to sell this property stock to people because they only get paid when they sell stock. And they only have a select list of items that they’re actually going to get a commission on. And that’s with the developers that they’re working with. Generally, there’s developer aggregates; so they bring together all these different developers. You then get – as a marketer – you get a stock list. And so I’ve been provided these, here’s a stock list of the properties that we have and that you can sell. And so, as a property advisor offering free services, you have this list of properties you can sell. You then get customers in, offer your free services, and then you try and sell them one of those properties. So that’s how it generally works. 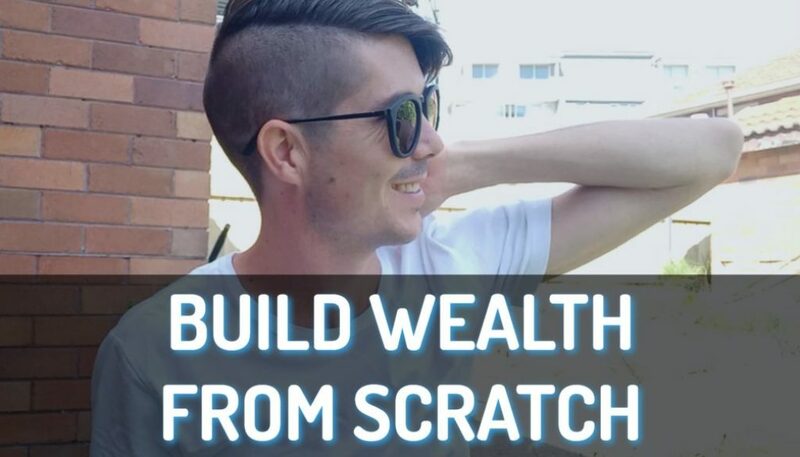 It will vary depending on the particular property advisor, mentor or marketer that you’re working with but that’s kind of a broad overview of generally how it works in the industry. Another thing that you need to know when you’re going into this is that the capital growth reports sometimes they come from reputable sources like RP Data and stuff like that. But the pretty reports, they way that they have been done are generally provided to the marketers by the development companies. So you can see the conflict of interest there; the developer is providing marketing material saying how good this area is they’re then providing that to you. There is a conflict of interest there in terms of the reports that you get. So always take those reports with a grain of salt. Another thing I want you to keep in mind throughout this video; is just because an area is a good area to invest in, doesn’t mean that the property that’s provided for you is a good property to invest in. 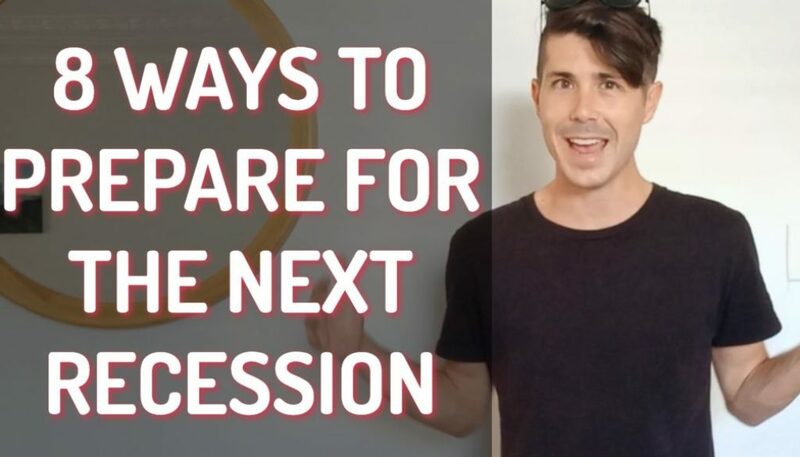 If you’re investing in an area that is growing but you’re paying $40,000 more or $50,000 more for property than what it’s actually worth, it’s going to take you years and years for the market to actually catch up with what your property is worth. So just because an area is growing; they provide you with reports that say this area is growing and going up in value, that doesn’t mean that the property they’re giving you is going to be a good investment and move you towards your financial goals. That’s something to keep in mind throughout this video and as we talk about this stuff, just know that just because the area is going up in value and has all the right signs, doesn’t mean that the property isn’t overpriced, doesn’t mean that the property is a good deal. 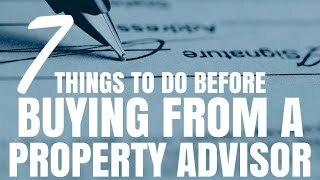 Now, I’m going to go into the 7 things you should do before buying property from a property advisor. And the reason that I recommend that you do this – look, not all deals out there are bad but there are a lot of bad deals out there. There are a lot of properties that people are buying that are overpriced and I have multiple friends who have actually gone through this process. Purchased properties that were completely overpriced; we’re talking $30,000, $40,000, $50,000 overpriced and 5 years later, the property still isn’t worth what they paid for it. And they need to hold that property because if they sell it, they’re going to take a loss. So before you go into this, it’s important that you do your research. The first thing that you should do when you’re working with a property advisor is find out exactly how much commission they are getting. They generally make commission in a couple of different ways. The main way is through the developer like I discussed. The other ways are through their mortgage broking services; so they’ll make a commission on the mortgage broking fee and also through insurances and sometimes through the setup of self-managed super funds if you’re going down that route. But the biggest commission is going to be from the developer. Now, to find out how much commission you’re getting. It’s actually not as easy as you would hope. Generally when you ask a property advisor, how much commission are you making on this deal? They’ll throw out something quite arbitrary, oh, we make similar commission to what a real estate agent makes; oh, you know, it’s not that much. It’s just a fee for our services. But it’s very important that you find out exactly what this figure is. Because this figure is generally a significant amount of money. And generally, I’m not actually 100% sure if they need to disclose that figure to you but I’m pretty sure that they will need to disclose it some way. It’s going to be hidden in the fine print somewhere. But before you go ahead, it’s important that you understand how much are they making out of this deal and are you comfortable doing that? To give you an idea, a buyer’s agent – which is someone that you would pay out of your own pocket to help you find a property – they generally charge between about 1% to 3%. And so you’re looking at about $5,000 to $15,000 or $20,000 for a buyer’s agent. And that’s someone with no conflicts of interest, generally. Not always but generally because they’re getting paid by you and working for you and generally it’s to buy existing property which these developer cuts and developer commissions, they’re not available in existing properties. So, to give you an idea, you’re looking at the $5,000 to $15,000 range for a buyer’s agent. So to find out what commission your property advisor is getting, you can then compare that to a buyer’s agent and you can say, well, really, this service isn’t free. They are getting paid this amount of money and am I comfortable with them receiving this amount of money for the deal and for the service that I’m getting? So that’s the first thing. And look, if they don’t tell you how much commission that they’re getting and they’re too scared to tell you, that should be a big red flag for you. If they’re too scared to say, look, we’re making $22,000 off this or we’re making $30,000 or $40,000 from this and we make it in these ways. If they’re not comfortable to tell you that, then you should be worried. You should look into that in more detail and don’t just take their airy-fairy response that, oh, yeah, just a service [inaudible 7:29] fees or similar to a real estate agent; because you need to know. That is my number one tip and that’s the easiest way to find out what you’re actually getting and what they’re actually receiving. I think that’s very important. The second thing to do is find out if they offer rental guarantees on their property. Now, a lot of the market rental guarantees is a way to get people through the door. 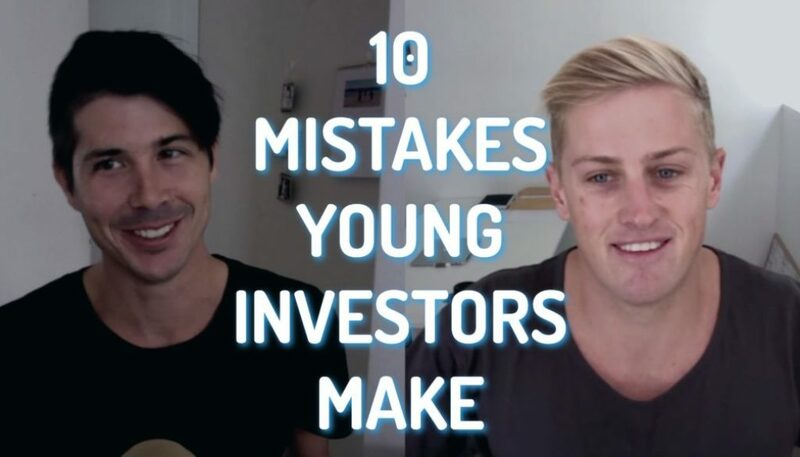 You’re investing in property, it’s a big risk, you’re putting a lot of money into it. A rental guarantee on the outset looks like a great idea because you’re getting a guarantee that the rental income is going to come in. Now, these rental guarantees usually last for 1 to 2 years. And then what happens, it’s been well-documented that this is kind of a scheme in the industry that they offer these rental guarantees to be able to sell the property at a higher price. They then rent out the property and then whatever the deficit is between what they can actually rent it for and what the rental guarantee is, they pay that out and then after 2 years they disappear and you’re left with the property. Generally, what happens, if you see them offering rental guarantees, immediately, that is a red flag. If a property is well-priced for the market and it’s going to be rented for the price they’re advertised, you shouldn’t need to offer a rental guarantee. If you’re investing in Sydney, you’re going to know that there is high demand for those sorts of properties. You’re going to know that the vacancy rate is really low and so in terms of rental guarantees, you really shouldn’t need that. And if you see it, it’s a red flag. I’m going to talk about more about the research you can do around the value of the property but also the rental value in one of the next steps. But, yes, if you see a rental guarantee, be red-flagged. Consider that a warning sign and look into that in extreme detail if you see that. Because that rental guarantee is being paid by someone and it’s generally being paid by you. And it’s added to the purchase price of the property. Even though it’s not “technically” added to the purchase price of the property, that money has to come from somewhere. Okay, third thing is to look for similar existing properties in the area. One thing that these property marketers and these property advisors, the reason that they exist is there’s a lot of people who want to invest in property but they don’t actually want to go to all the effort of understanding an area and knowing which area is good to invest. So they rely on these advisors to help them. But one of the things that you should do – because as we discussed earlier, these reports are often provided by the developers; which is a big conflict of interest. So you actually want to look at; well, what is going to be the purchase price of this house and land package or unit? or whatever it is that you’re buying. What’s going to be the end price that you end up paying? Well, now, go on realestate.com.au or go to domain.com.au and look in the area that you’re purchasing and try and find properties that are similar to the one that you will end up with. You want to find out how much are these properties worth and you want to find out whether that is similar to the property that you’re going to be getting. Is your property a lot more expensive than ones that you can buy and what’s the difference in those types of properties? So go in to the area and if it’s a 4-bedroom, 2-bathroom house with a double garage or a single garage that you’re investing in in an area, well there’s going to be some of those in the area already. So go on realestate.com.au, find out how much those properties are selling for; compare it to the package that you’re getting and see if there’s a difference there. Another thing to do is the same but in the rental market. 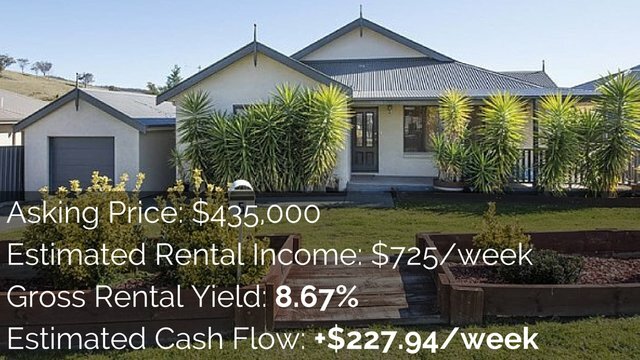 So if you’re getting a rental guarantee on this property or you’re getting a rental estimate provided for you on this property, go on to realestate.com.au, look at the rent section and find similar properties and find out what they’re asking in terms of rental price. 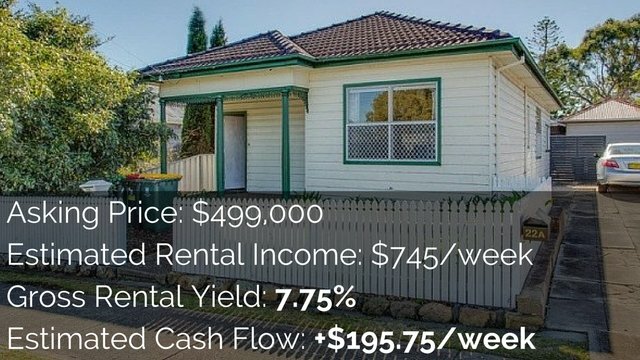 You know, with the purchase price of a property, it can be difficult because some areas like Syndey are very hot and things are going for way beyond what they’re marketed for and then other areas aren’t as hot and are probably as marketed for a price and actually ends up going for a discount. So, the purchase price can be a little bit difficult but you can find out pretty roughly what a property’s going to be like. But in the rental market, that negotiation really takes place. So whatever a property is advertised for, it’s generally what it’s going to be rented for. This is a good way to understand how does the rent compare to what they’ve told me. So this is all about doing your own research and understanding what is on offer, what are they offering you? And how does that compare to if you actually went to the market yourself and just purchased a property in the same area. So if they give me all these reports saying this area is a great area to invest in and you understand that and you think, okay, that’s great. I want to invest in that area. Well now, you need to consider your options between should I buy a package from the property advisor or could I just go out there and buy an existing property? What’s going to be better value? That’s what you want to understand. Because if you decide the area’s good, you want to buy the best property for that area for the best price. The next thing that you should do is get advise from a local real estate agent. Local real estate agents know the area better than anyone else. What generally happens is, people call up the real estate agents 3 or 4 or 5 years later and say, look, I’m looking at selling this property and they’re like, what did you pay for it? Like you paid that for the property, you got stung by one of the developers or whatever. They know what’s happening in the area. They know how much people are paying for these developments, they know how much properties are selling for. And so when you get your package from your property advisor, go to a third-party real estate agent that’s unrelated to the developer or to the advisor that you’re working with and say, hey, look, I’m really interested in this area. I’ve been offered these sort of development things. What do you think about this? Can you talk to me about the pricing of this property, when this property is built? If I want to rent it out or if I want to sell it, what’s it going to be worth to the rental market? What’s it going to be worth to the sales market? They know, if you develop a 4-bedroom, 2-bathroom house to these specs, they know what it’s going to likely sell for. They know what it’s going to likely rent for. And so you can get that opinion from them; which is going to be extremely useful. They could then also point you in the direction of properties in the area that may be better deals. Or they could say, look, this is a great deal. The property’s going to be worth probably $30,000 more than what you paid for it, if you’re lucky. They’re going to give you that advise and they’re going to give you that input. So it’s very important to not just take what the property advisor is giving you at face value. Because the fact is, they generally do have that conflict of interest. They’re getting paid by the developers to sell stock. They’re not getting paid by you, they’re getting paid by the developers. And so to get a third-party opinion and to understand, well, is this actually in my best interest, not just theirs? Is very important. The fifth thing that you should do is to Google the heck out of the company that you’re looking into. There’s a lot of forums like propertyinvesting.com or somersoft.com. Generally, people go on there and say, what do you think about this company? And people would give you responses. So just go in to Google and search for them. Put in their name with “review”; put in their name with scam; put in their name just generally or put in their name with the word “forum” attached to it as well. So do a lot of Googling around them and go in to these forums. If you can’t find anything on Google about this company – maybe it’s a new company or something like that – go into one of these forums. Go in to propertyinvesting.com, go in to somersoft.com, S-O-M-E-R-S-O-F-T .com and ask in their. Join and then ask, look, I’m looking to invest with this particular company. Has anyone heard of this company or what do you think about them? So first, Google the heck out of them, try and find some reviews out there. And if you can’t find reviews, then join the forums and ask yourself and get people to give you feedback. It’s going to be vital feedback that will be very important. The sixth thing that you should do is talk to people who’ve invested with this company 5 years ago; 3 to 5 or more years ago. If you’re talking to people who’ve just invested, they don’t actually know what the value of their property is, they’ve gone through the buying experience and, yes, that’s well and good to know. But someone who’s 3, 4, 5 or more years down the track, actually understands the value of their home more. The chance that they’ve re-valued their home is more likely. And you can see, well, have they actually achieved the growth that was promised to them? Was the property overpriced? Try and get in contact with these people. Now, if you’re going to ask the property advisor for people that you can contact, they’re generally going to give you their best clients. Look, I run a membership site. If someone wants to say, can I talk to someone about their experience? Of course I’m going to point them in the direction of someone that loves my service. If you can, find people on the internet who have purchased property with these people years ago and find out their experiences. See if you can get in contact with them, see if you can email them or find them on Facebook or something like that and get in contact with them. That’s a good way to do it. That’s a hard task to do, so I don’t expect many people to do that. But if you are serious and you are curious, try and find those people. And the last thing that I recommend that you should do is actually consider a buyers agent instead of a property advisor. So someone who offer their services for free has to be paid by someone, generally, it’s the developer and I see that as a big conflict of interest. You may, you may not. That’s up to you. With a buyer’s agent, you’re generally paying them out of your own pocket. Generally, a percentage of the purchase price or a set fee of about $5,000 to $15,000. But they’re then working for you. They’re getting paid by you and it’s in their best interest to help you buy a good property because they want you to come back and purchase more property. So they’re going to work harder for you, they’re going to do what’s in your best interest. Especially if they’re purchasing existing property and don’t get those developer kickbacks. Again, not all buyer’s agents are the same. So, always go back to these steps and find out; are they getting a commission from the purchase apart from what I’m paying for them? You want the answer to be “no”. You want to be paying them and you want them to receive no other commissions and that way, their source of revenue is just from you and they are, therefore, inclined to help you out and do the best by you. So tip number seven would be to consider a buyer’s agent instead of a free property advisor, property mentor or property marketer. So, I hope that this has given you an overview of how this business works. There’s a lot of people who have been stung by this. There are some good deals out there. There are some great deals out there, where you can get instant equity. They do exist. However, there’s a lot of bad deals out there and I want to help you understand what’s a good deal and what’s a bad deal. And so these 7 steps should help you do that. Step number 1 was to find out how much commission they are making and ensure that you’re happy with that. Step number 2 was to find out if they offer rental guarantees; and if they do, that’s a big red flag. Step number 3 was to look at similar existing properties in the area; both in the for sale market and in the rental market to find out, with the price you’re paying, how does that compare to what you could buy in the market right now? Step number 4 was to get advise from a local real estate agent and to find out what they think about the package that you’re purchasing; what it’s going to be valued once it’s finished; what’s it going to rent for? Get in contact with them because if you can find a good real estate agent, that’s going to help you out when you finally do get a property. Because they can then help you rent that property. Step number 5 was to Google the heck out of the company and if you can’t find anything about them, join the forums and ask about them. Step number 6 was to talk to people who’ve invested with this company over 5 years ago and find out what their experiences were. And step number 7 is to consider paying a buyer’s agent out of your own pocket; which I know seems hard but they will work in your best interest. And if you’re interested, I’m going to create a printable checklist of these 7 things that you should do and you can check them out. Just go to onproperty.com.au/282 and you can get a copy of this printable checklist over there. Again, that’s onproperty.com.au/282 for episode 282. This is a printable checklist that you can use to go through these 7 steps and to make sure that you’ve ticked everything everything off, make sure that you’ve done your research and make sure that the deal that you’re buying is a good deal. So I hope that this has helped you. 7 things to do before buying from a property advisor, a property mentor or a property marketer. I’m Ryan McLean from onproperty.com.au. I hope that this has helped.